Approaching art as a business can feel anathema to our creative process. In fact, I’ve heard people say that business gets in the way and harms the art being made, especially in reference to not-for-profit theatre. This line of thinking is horribly detrimental to our industry. 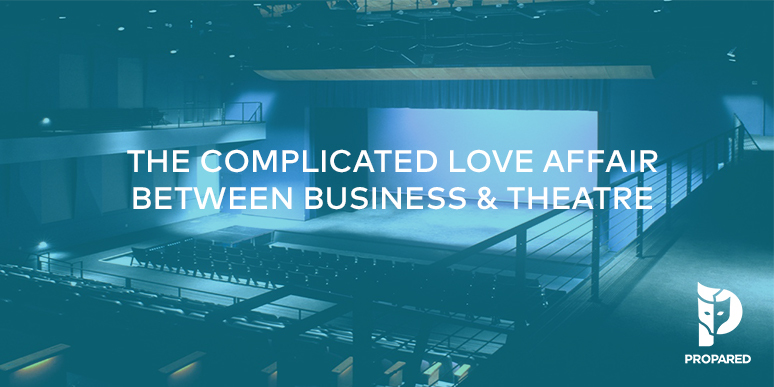 Business and Art complement each other to the betterment of everyone, and theatre needs better business strategy. Financial and organizational management is critical to the process of getting any show on it’s feet, not just commercial ventures. The connection between theater and business shouldn’t be thought about as ‘how to make money’, but rather ‘how to create sustainability’. Ask any start up business owner and they will tell you that business plans are about defining goals, strategizing about how to achieve them, and establishing the long-term viability of the concept. The business plan is a tool to identify what’s important so you can ensure you’re using your resources as efficiently as possible. Having a business plan for your show doesn’t mean you are selling out or that the artistic intent plays second fiddle. It means you’re being smart about decisions you make so your show or organization has a better chance to be around next year. As theatrical managers we must treat each show as a business. With any show there are both artistic goals and financial realities. There may also be longer term goals such as “where does this specific production fit into the shows lifespan?” Many shows, especially those in early or experimental phases have long-term dreams of continuing on to future runs. Understanding the long-term trajectory of a show can help us make better decisions about where to spend our money in this iteration. It doesn’t mean that you are neglecting this iteration or that you aren’t allowing it to live up to it’s full potential. Quite the contrary. In theatre you can literally spend any amount of money to produce a show. Having some tangible, measurable benchmarks against which to make decisions can be very helpful. We recently worked on the first staged production of a new musical. The director and designers had some amazing visions for it revolving around some fairly serious automation. Their long term goal for the show was to continue building and iterating the production in a variety of not-for-profit theatres across the country before turning the show into a commercial run. Once we walked through these goals for the production, it became obvious that it would be a huge disservice to the life of the production to spend money on automation at this stage. In this iteration of the show, we needed to get the book and libretto up on its feet and in front of investors. Once we all were on the same page the conversation shifted to elements of production that would help meet these current needs. Talented musicians and a high quality audio system won out, and production decisions fell into alignment with their business goals for the show. The production in the end was fantastic and investors took note. Business and Art are necessary partners. Aligning artistic decisions with a sound business strategy ensure that everyone is working towards the same goals. Allowing business managers and administrators to handle what they’re good at, ultimately allows the artists to make art they can be proud of creating a more sustainable industry for us all.